Too bad daddy didn’t have his on today. 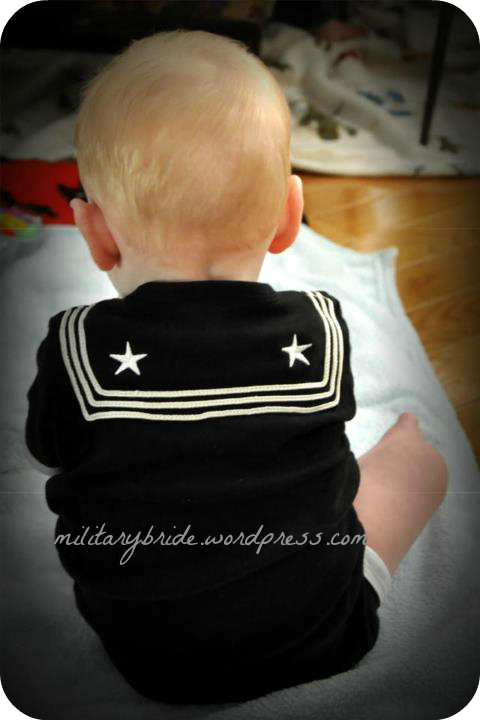 Posted in Baby, boys, family, hubby, husband, Life Lessons, military, military family, milspouse, mommy, Parenting, photography, Uncategorized, wife and tagged baby, baby boy, boys, child, children, family, hubby, husband, kids, milhubby, military, military baby, military family, military life, military wife, milspouse, mommy, parents, photography, son, teething, uniform. Bookmark the permalink. I got mine on base at the exchange. I know you can get them at the online exchange as we..